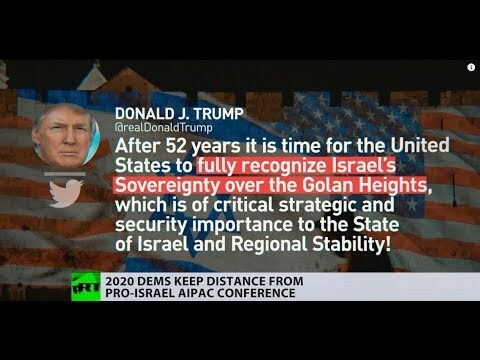 ‘Totally anti-Jewish!’ Trump lashes out at Dems over their stance on Israel | We Seek the Truth! Leading 2020 democratic presidential candidates chose to avoid taking part in the Pro-Israel conference. This comes amid a decrease in Democrat support for Israel – according to Gallup’s latest survey.